The Ascot goes beyond what a traditional countertop terminal will do. With a sensible compact design that features a large 22” touchscreen display, the Ascot is creatively designed to attract users to its uniquely styled and mounted monitor. 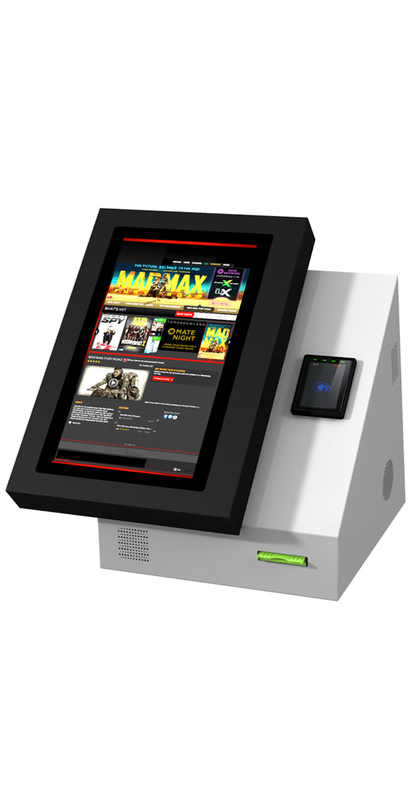 Built to provide stunning visuals and responsiveness that can be tailored to create extraordinary solutions for the entertainment, healthcare, and retail markets, this compact kiosk makes great use of the newest technologies on the market for self-service, digital signage, and wayfinding applications. With the ability to select from a nearly limitless range of colors and graphics, the Ascot will reflect not only your business sense, but your business’ sense of style as well.